This is another one of my favourite Turkish dishes, so simple to make, cheap and perfect on a winters day served with crusty bread. Vegetables are a big part of Turkish cuisine, mainly because meat is so expensive. Most typically Turkish families will eat very occasionally, perhaps chicken once or twice a week and red meat only on special occasions so they are experts at making delicious meals from few ingredients. 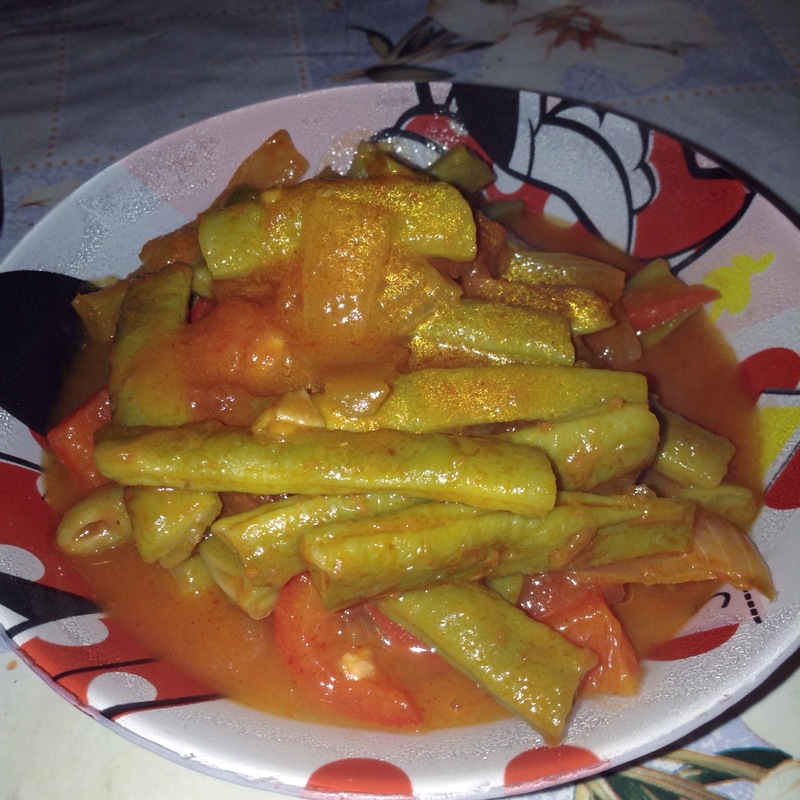 taze fasulye is one of these dishes. As always, the amount of ingredients you need varies depending on how many people you want to feed, this made more than enough for 2 of us, you can always make more and freeze it, that works well. First, prepare the beans. 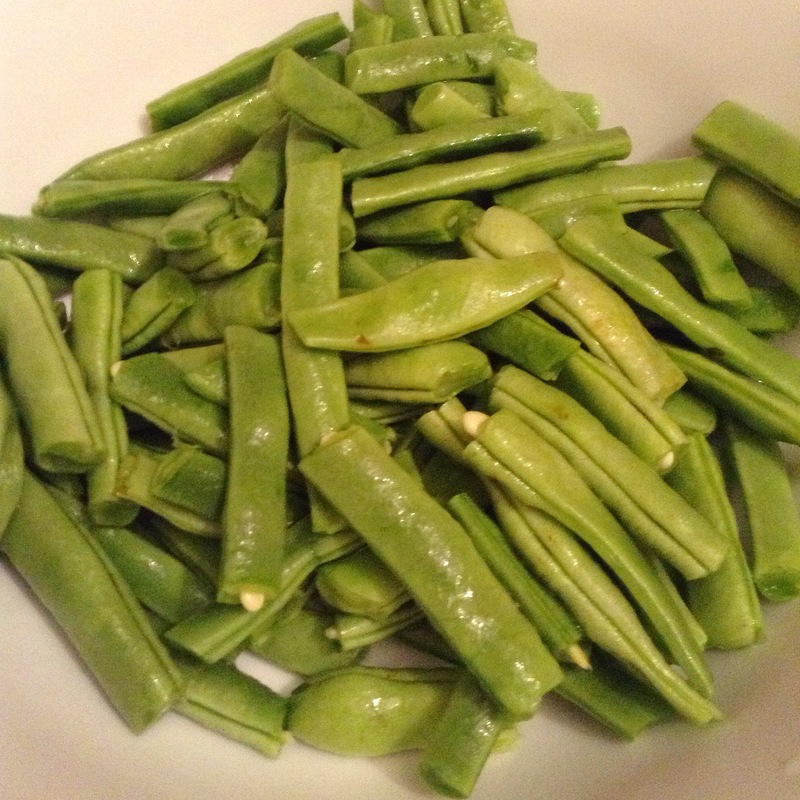 Rinse them, then pinch off the top and bottom of the beans and string them. Then break them into smaller 1.5 – 2 inch pieces. Do this with all of the beans. Add a good drizzle of olive oil in the bottom of a fairly deep non stick pan (it must have a lid too). Add the beans, making sure the heat is turned down low so they do not burn. Stir often to avoid the beans burning, you just want them to soften slightly. After 3-5 minutes, add the diced onion (and pepper if you wish – it just adds a little something to the flavour) and fry until the onions are soft and translucent in colour. 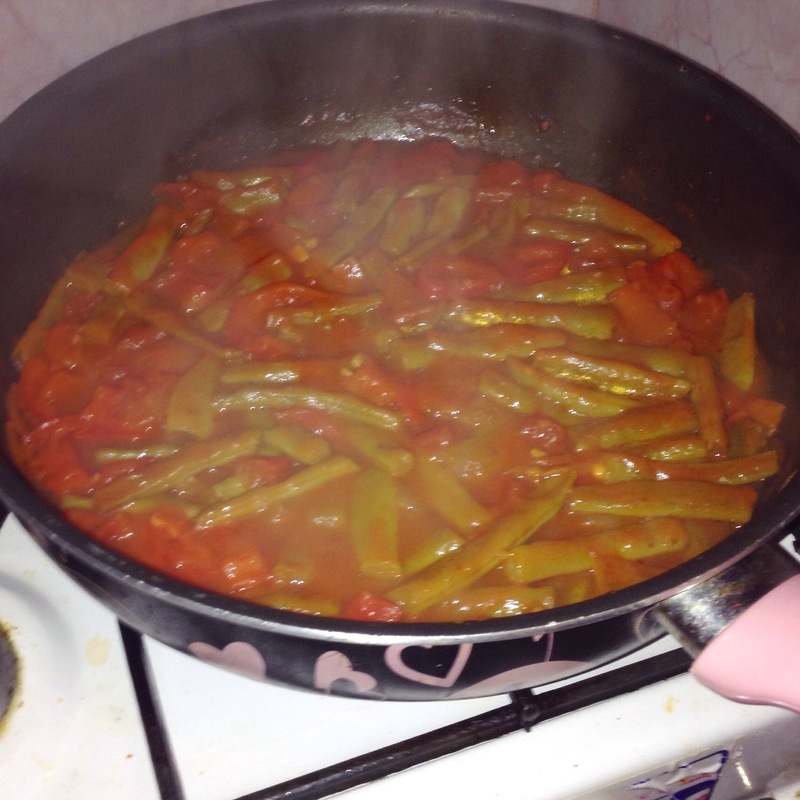 Get a heaped tablespoon full of tomato paste (domates salçası here in Turkey) and stir into the pan with the beans, onions and peppers. Leave this to cook together for 1-2 minutes. 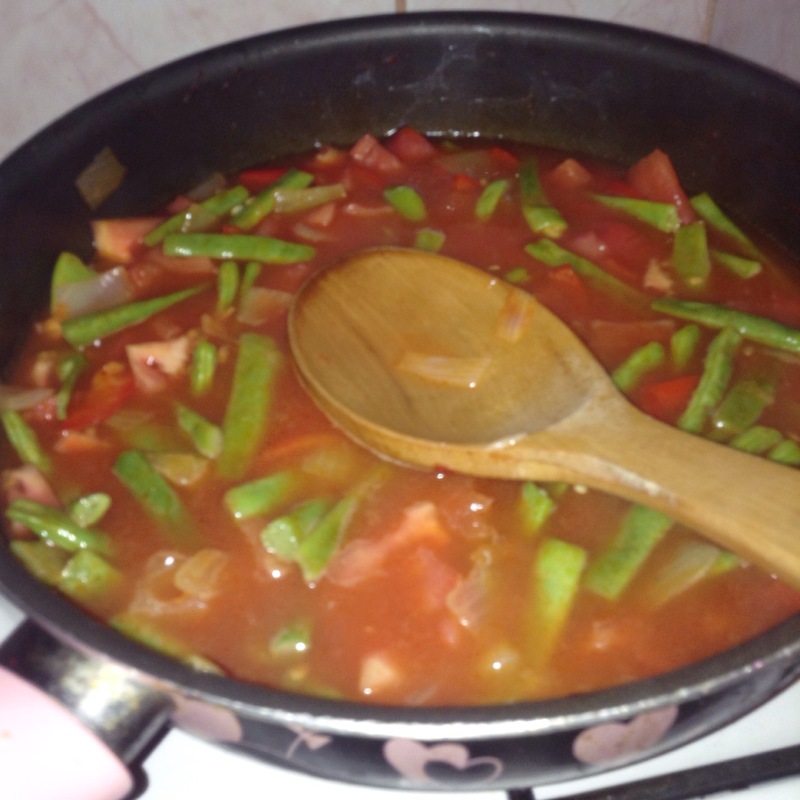 Then add the chopped tomatoes and garlic into the pan along with enough water to cover the beans. Add 1-2 teaspoons of salt to flavour. Cover the pan and bring to a boil, then reduce the heat and let them simmer for 30-45 minutes until everything is soft and the sauce is reduced. Serve with rice or just on its own with fresh crusty bread. Berkay had his with a side bowl of yoghurt and hot, pickled chili peppers! We went through 2 loads of bread between us with this dish… but if you can avoid that it’s fairly healthy and delicious. It’s lovely when served cold too, a good side dish. ← Happy 2 years Boncuk!